One of our current Admissions Committee members makes a point of noting applications that present a “clean resumé,” a term that always makes me smile. 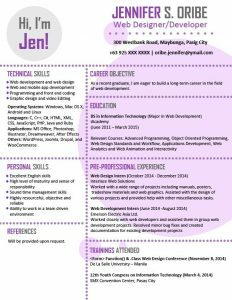 All application readers have little hangups and pet peeves (one of mine is incorrect usage of “hone”), and for this colleague resumé presentation helps to get an application off on the right foot. What he means by “clean” is an uncluttered format that easily draws attention to the core items in an applicant’s professional and educational background. Uncluttered: keep it to no more than two pages, and don’t include items from your pre-college days. 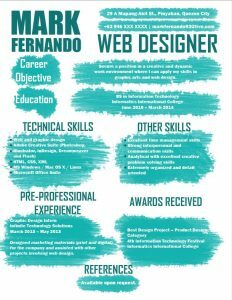 Easily draws attention: stay attuned to the two or three major points of your background, and design your resumé to ensure they’re prominent. More broadly, don’t get wacky with the format of your resumé. Our application process is not like applying for a job, in which you might feel a need to make your materials stand out in a pile of hundreds, most of which are unlikely to be read at all. We read all materials in all applications carefully, and will be reviewing your resume no matter what. If we see something like the examples pictured here (these are real templates available free online; Mark and Jen are not real people), we’ll at least roll our eyes at the gaudy silliness on display, and in some cases might even question your professional judgment. There’s no need to approach resumé construction like a bird of paradise mating dance. 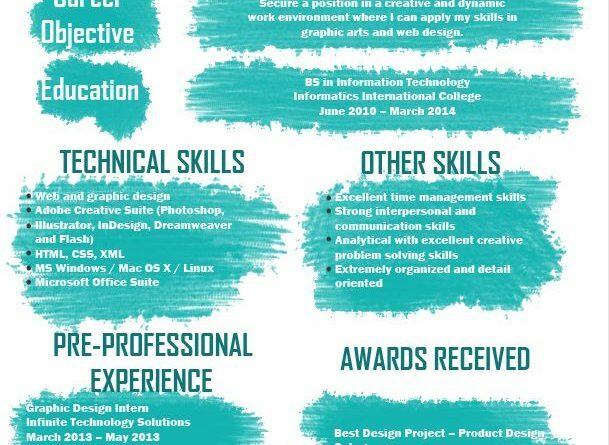 Other things to keep in mind, in no particular order: make sure your resume reflects what you list under the “professional experience” section of the application form. This portion of the application is not exhaustive, and is meant to encapsulate the basic details of your most prominent work stints. While there may be many items on your resumé that won’t make it into this section of the application form, it will puzzle us if you list something in your application that doesn’t appear on your resumé. You should also make sure your resumé clearly indicates the duration and location of each major item. It’s much easier for a reader to be able to gather this information quickly in one place, rather than picking through various other parts of your application to piece together where you were when, and for how long. And finally, try to minimize unexplained gaps in your professional or educational history. You don’t need to hide from the fact that you worked in retail or service industry roles for a time between other gigs, for example. We’d much rather understand the full picture of your progression rather than rely on guesswork. So keep those resumés clean, people! It’s an easy way to endear yourself to application readers.